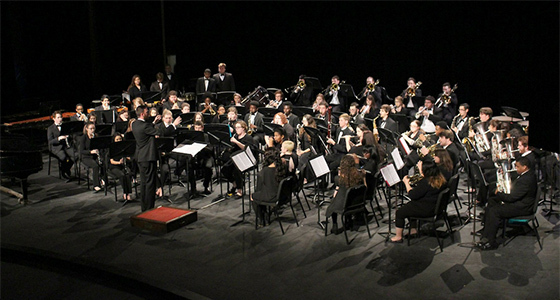 The Symphonic Band, directed by Dr. Eric Shannon, performs two concerts each semester. Membership is open to all students, regardless of major, and is determined based upon a relaxed audition process. Rehearsals are twice a week on Tuesdays and Thursdays from 2:20 p.m. to 3:40 p.m. The wind and percussion programs at Lamar University are among the most active programs on campus. There are five performing ensembles: Wind Ensemble, Symphonic Band, Cardinal Basketball Pep Band, Jazz Band and the Lamar University Marching Band. These bands are open to all students regardless of major. Partial tuition and housing waiver scholarships are available to students based on talent and departmental need upon successful completion of a scholarship audition.